My son loves BOOKS, it is probably safe for me to say right now that: "I have a book-lover!" and I can't be happier! I was a book-lover too! I used to borrow books from my classmates every summer and read books so fast it took me just 4-5 days for a Daniel Steele novel! 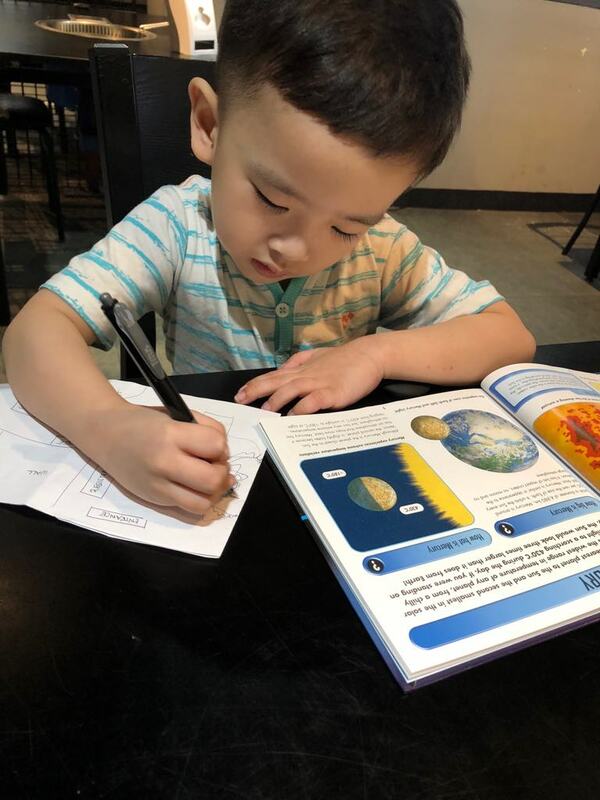 Kyle's version of "Mommy's Reward" is actually a new book and I get "kilig" whenever I see how his eyes lit up whenever there are new books around! Because I am assured that you mommies will support me, can I support you back by sharing to you one of my favorite SALE? 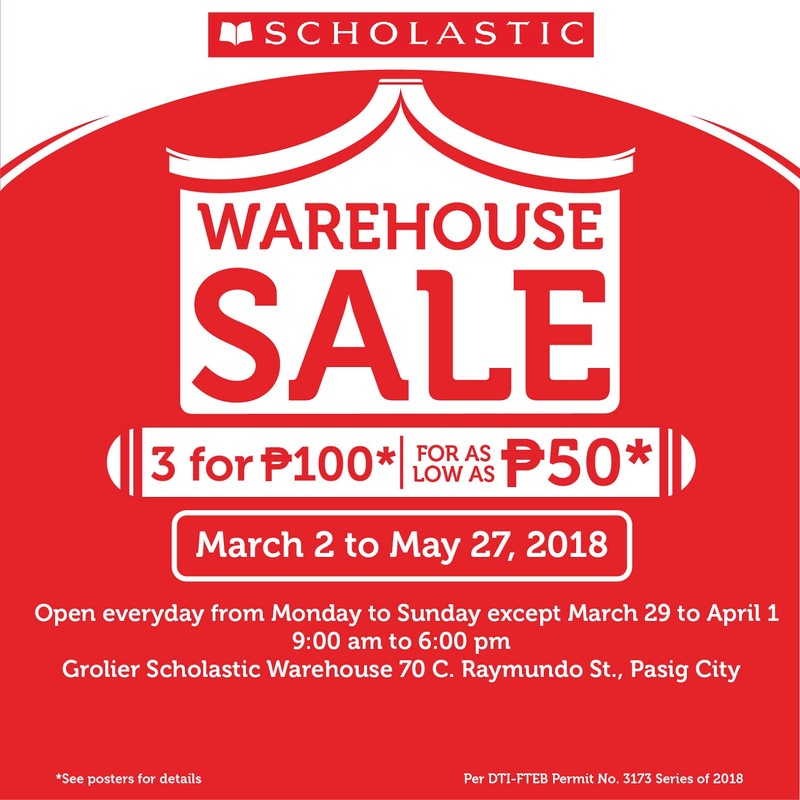 "Scholastic, the world’s largest publisher and distributor of children’s books, is happy to announce that the much awaited SCHOLASTIC WAREHOUSE SALE is happening this summer until May 27, 2018. We have a wide selection of picture books, board books, fiction and non-fiction books, classics, young adult books, popular series, and arts and crafts for as low as P50! To add, we also have a P3 for 100 promo on selected books so for sure you will not leave the sale empty handed. We also have an ongoing raffle promo. Shoppers can win Harry Potter Hardbound Chest Box, Grolier Talking English, complete set of Hunger Games, and other exciting prizes." 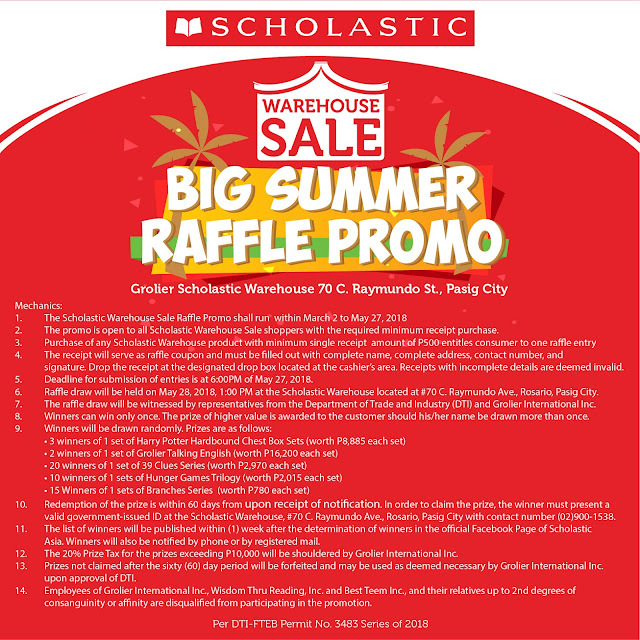 And they also have Big Summer Raffle Promo, kindly click photo below to read more details. The Scholastic Warehouse SALE is open everyday until May 27, 2018 from 9:00am to 6:00pm. 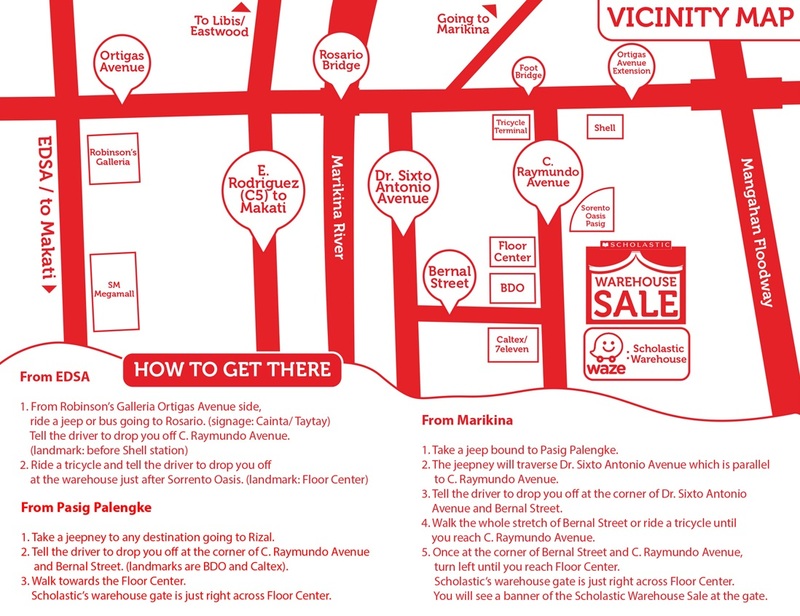 They are located at 70 C. Raymundo St., Pasig City. Follow them on Facebook for more details for more details. Do you have kids who love to read? Really if there is such thing as sports in reading I'll be an olympiad hahaha. I could finish game of thrones in one night straight (though I refrain cause I need to have life beyond books too). me too!!! I am a super fast reader! :D we should be book friends!